Philadelphia, PA – Pennsylvania Governor Tom Wolf announced his upcoming introduction of a package of six bills titled “It’s On Us PA.” He joins a group of legislators, advocates, and students campaigning to combat sexual harassment and violence in K-12 schools and on college and university campuses. Thousands of Pennsylvanians, including university and college presidents, signed the “It’s On Us” Pledge. Since the campaign began in January of 2016, Governor Wolf’s administration has engaged hundreds of healthcare personnel, researchers, students, educators, administrators, advocates, campus safety and law enforcement officials and policymakers to learn how the current system could be improved and how to prevent sexual violence. “It’s On Us PA” launched in 2016 as a statewide campaign to address sexual assault in schools, colleges, and universities. 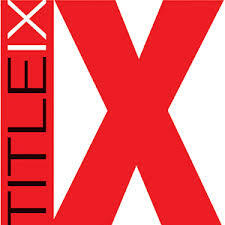 The campaign builds on the larger national campaign “It’s On Us,” which launched in 2014 and created additional protections under Title IX of the Education Amendments of 1972. Together the six bills would: 1) Expand the scope, authority, and capacity of the Office for Safe Schools within the Department of Education to support schools and monitor compliance with existing federal and state requirements. 2) Publish an annual report card on sexual violence and harassment. 3) Create a consolidated, comprehensive anti-violence and anti-harassment policy for K-12 schools by focusing on bullying, hazing, sexual assault, sexual harassment, and dating violence. 4) Require post-secondary institutions adopt affirmative consent standards and expand grade school health education standards to explicitly discuss what is proper consent and what defines healthy relationships. 5) Demand that post-secondary institutions offer online, anonymous reporting options for students. 6) Establish amnesty policies protecting students who report sexual assault to post-secondary institutions from being disciplined for other policy violations; such as violations of a college’s drug and alcohol policy. If you feel you have suffered sexual harassment on the job or your college campus contact one of our Philadelphia sexual harassment attorneys at the Derek Smith Law Group, PLLC today for a free consultation. Our attorneys have years of experience litigating claims of gender discrimination. Working together with our New York City sexual harassment attorneys, we have recovered millions on behalf of our clients. If you feel you have been discriminated against because of your gender, please give our attorneys a call, toll-free, at 1877 4NYLAWS, for your free consultation.